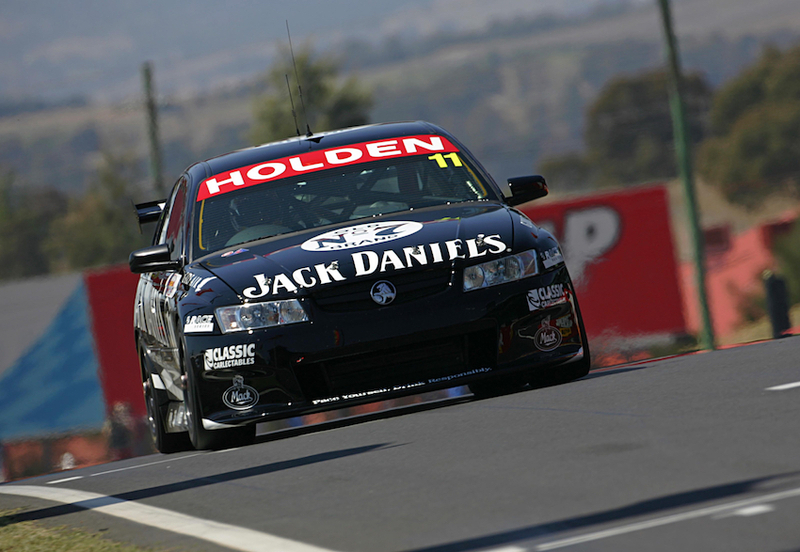 It’s quite ironic in the history of the Supercheap Auto Bathurst 1000 that six-time race winner Larry Perkins made his last start in the race in 2003 and son Jack made his debut three years later driving exactly the same car. 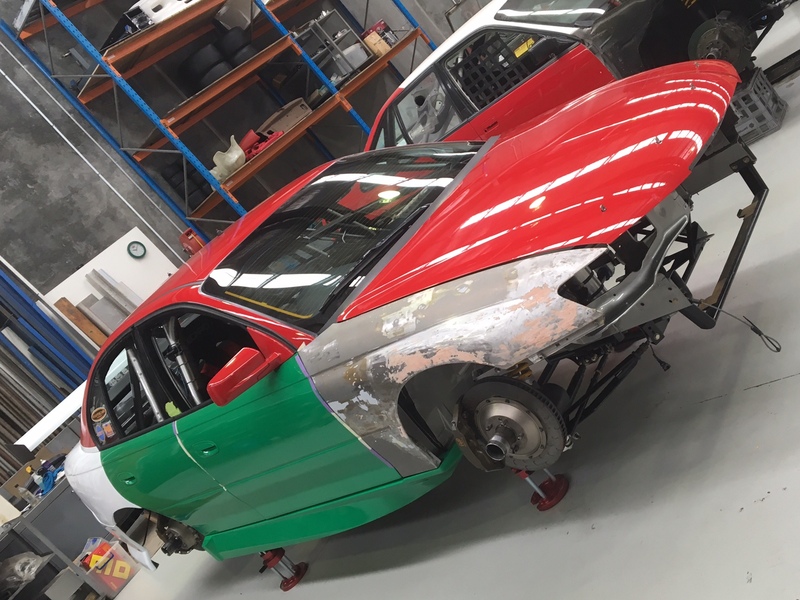 Now, that very Commodore – Perkins Engineering chassis 041 – is being restored back to its Castrol #11 colours and specification as raced by Perkins and Steve Richards in the 2003 Bathurst race, the 26th and final start in the race by former Formula 1 pilot Perkins. 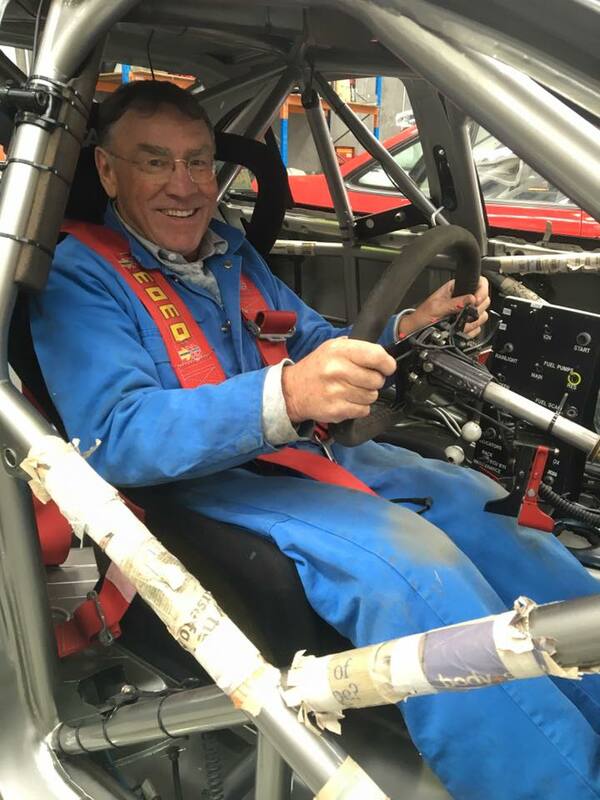 Larry’s son Jack has been working for the last few years on returning his former Jack Daniel’s car to how it was three years prior when his father saddled up for the endurance races. “I lost the best part of 12 months when we moved factories and set up in Sunshine (western suburb of Melbourne) and I didn’t do a lot of work on the car in that time,” Perkins told supercars.com this week. “Then I was driving Supercars full-time in 2014 for Charlie (Schwerkolt), so I have probably had 18 months in the last four years where I haven’t had the chance to work on the car. “It’s now at the 80 per cent stage, it’s getting really close to being finished. I’ve had the front and rear windscreens go in this week with Matt Bartlett, all the body work is complete, the sign writer has come in to double check measurements, the driveline and suspension are in, so it’s only the sign writing and engine to go and the engine is sitting there ready to go in. “A lot of people are asking what we will do with it once it’s finished. I don’t really have a plan, but it’s not for sale. PE 041 was built new in 2003 by Perkins Engineering and actually began life as a VX Commodore shell, but was updated by the team to full VY spec as the build progressed. At the time many teams were running ‘hybrid’ Commodores, actual VX Commodore chassis with the sheet metal and front suspension changed to VY specification, though retaining the existing 18-degree Chevrolet engine. However, PE 041 was not one of these. The shell may have started as a VX, yet the team built it in full VY spec including the new ‘Holden Motorsport’ V8 engine. 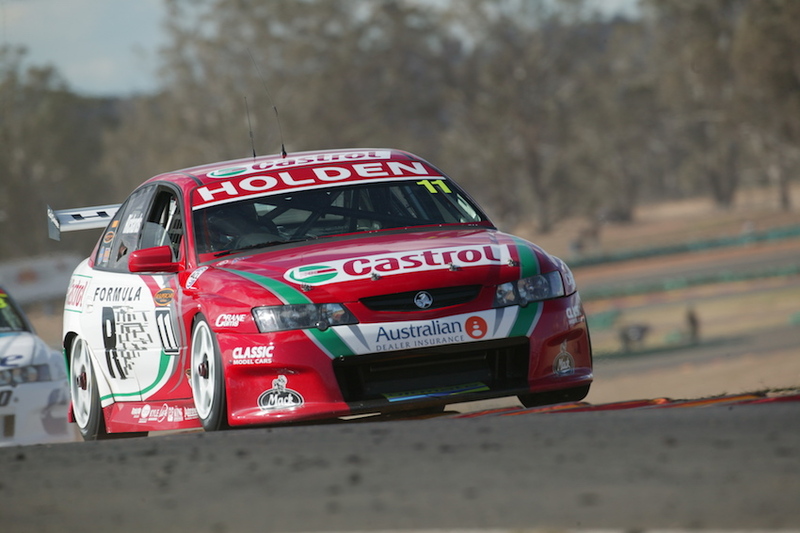 The new chassis was given a shakedown run at Winton in mid-May 2003 by team owner Perkins, Steven Richards and Paul Dumbrell. PE 041 finally made its debut as Richards’ #11 Castrol Commodore at the Darwin round at Hidden Valley in the Northern Territory and he raced it for the rest of the year, including being joined by Perkins for the enduros. As history shows, the car had a miserable time in the lead-up to the Bathurst classic with an accident that crystalised for Perkins that it was time to finish up his driving career. The veteran let his mind slip away from the task at hand during Saturday practice and bounced off the wall on the run to the Cutting, the damage more severe due to the angle of the trackside Armco gate he hit between the trackside concrete wall. The shunt forced the team to skip the Top 10 Shootout, though they recovered well on Sunday to finish fourth in the race. 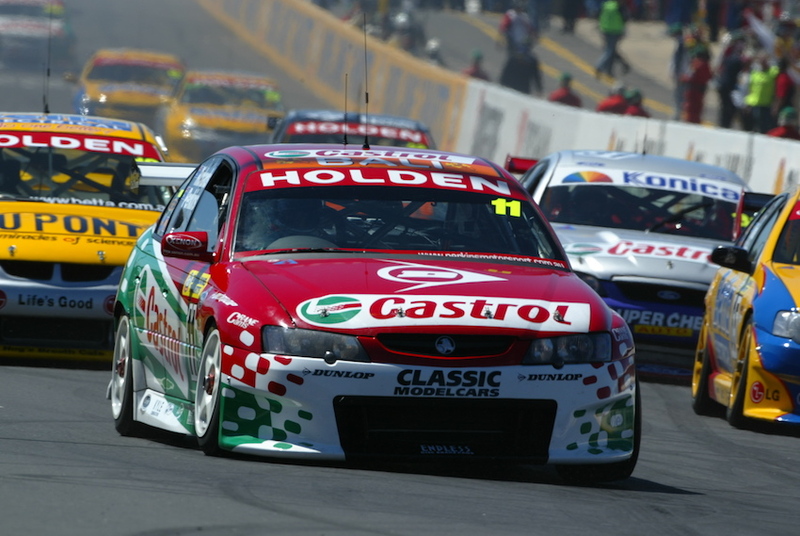 Richards stayed in the car for the 2004 season still running as the #11 Castrol entry. He finished second in that year’s Clipsal 500 but later in the year debuting a new car at the Sandown 500. Chassis 041 re-appeared at the final round of the championship at Eastern Creek, now running as the #7 Castrol VY in the hands of Alex Davison ahead of his full-time debut for the team the following season. Davison raced the car through the majority of 2005 out of the Perkins Engineering workshop though running under Rod Nash’s #7 franchise as the Autobahn Commodore. Due to franchise limitations on the grids at some events, Dumbrell ended up driving this chassis in Perth and Shanghai, leaving Davison benched at home. The team’s relationship with Davison soured and Owen Kelly replaced him for the final few races of the year before the car was sent via sea at the end of that season to America for shaker rig testing at Ohlins in North Carolina. “When the Jack Daniel’s deal was done we put a mock engine in it – an engine block with a bunch of ballast – and sent it over there for some testing in January 2006,” recalls Jack today. 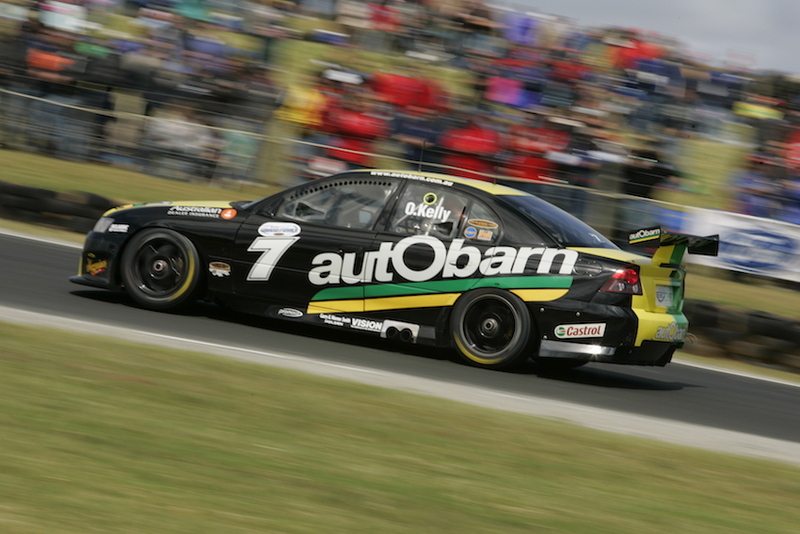 The former Autobarn car was retained as a spare chassis in ‘06 and was wheeled out in Jack Daniel’s colours for the endurance races, where Shane Price and Larry’s son Jack became the youngest-ever driver combination to compete in the Sandown and Bathurst races. The young Perkins had his Bathurst 1000 debut turn sour on the first lap when he famously rammed the HRT’s Mark Skaife from behind on the run up the Mountain as the pole-sitter limped along with a terminally ill clutch. The car was repaired and used by Dumbrell as the #11 car at the following Gold Coast race before Price gave the car its final V8 Supercars race outing at the last round of the 2006 championship at Phillip Island where he ran it as the #39 Sirromet Wines car under one of the Paul Morris Motorsport franchises. 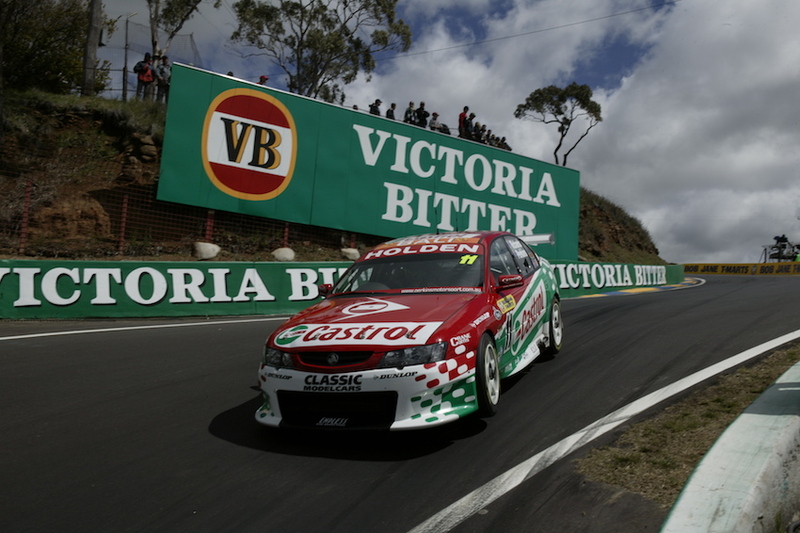 We can’t wait to see that great piece of Bathurst history fire back into life sometime soon! Saturday Sleuthing will be back next week with a special story on a former Sandown 500-winning car from the Group A era.